Another Project I am working on. Been wanting to Refresh my hardSurface work. This guy is still in its beginnings Work in progress. Can't wait to see this guy done. 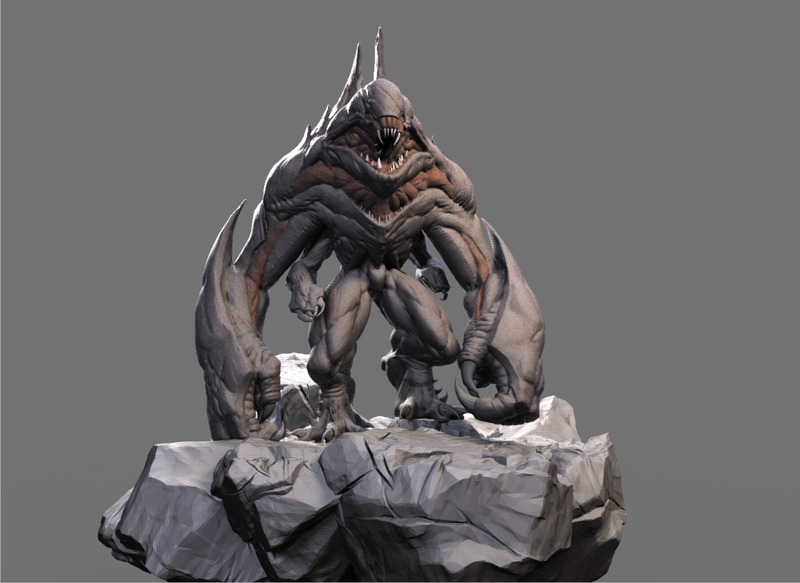 So this is a piece I have been working on from a pre-concept from the game (Evolve). This has been a very interesting piece trying to balance his top-heavy torso and making his head fit well on top his shoulders. Currently, im working on his secondary muscle volumes keeping the interesting look but at the same time making it feel organically functional. 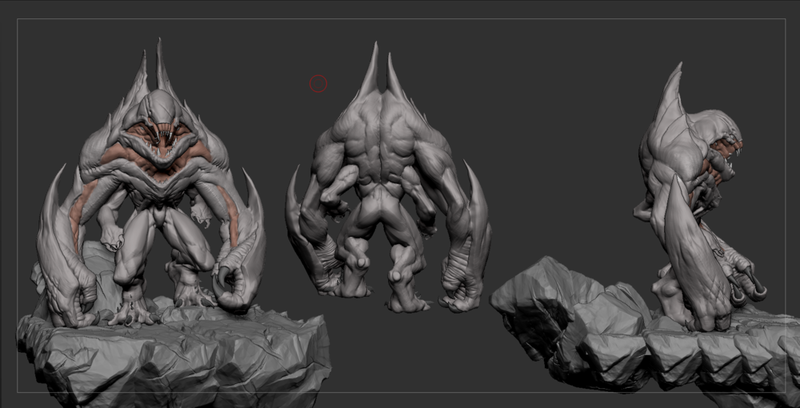 Getting close on prepareing him for texturing.